Phantom Doctrine - New Update Patches for both PC (1.0.6) and Console (1.02) Released! 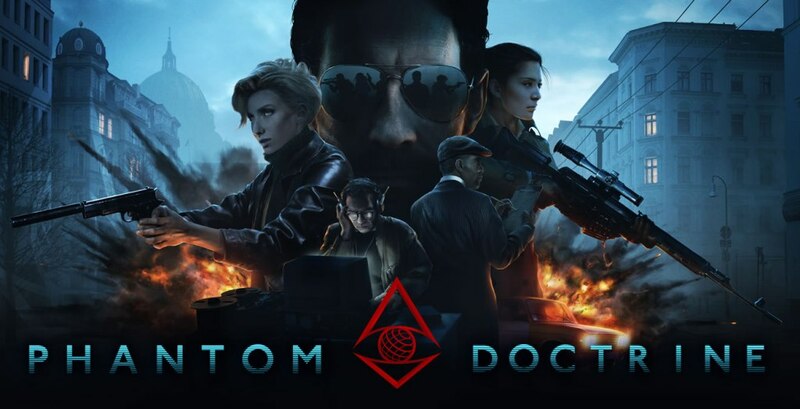 Phantom Doctrine – New Update Patches for both PC (1.0.6) and Console (1.02) Released! When we last reviewed Phantom Doctrine, the game had a few issues with AI and weapons, at least on the PS4 version of the game. With the latest Patch 1.02 (equivalent to Patch 1.0.5 on PC), some new balance changes address these issues, making for an experience that is more in line with the latest version of the game. After playing the game again after some time, it is fair to say that the changes have a real impact on the game. Guns like SMG’s and pistols no longer do as much damage as they once did in mid ranges and the option to fire at longer ranges is no longer possible. Also, enemies move around a lot more instead of take shots from across the map. It still takes a fair bit of focus to survive multiple attackers, but it’s a lot better than enemies only moving in response to the player advancing. Other noticeable differences include a smoother AI turn and extra animations for both enemies and civilians. In other news, the PC version also receives Patch 1.0.6 around the same time as the console patches. – Removed an issue with endless slow-mo for overwatch triggered for enemies in cover. Please check the Steam Community page for more information. No word yet as to when this update will hit console, but expect it to drop about a month from now. The game has only seen release about a month ago, and it’s already getting updates and bug fixes. Just goes to show how an active community working side by side with an ever listening dev team can improve the experience for everyone and ensures that the game gets the love and attention it deserves.